I’d like to thank my good friend @oddbeard for a fun talk on Skype the other day where he gave me the tip I needed on this one. 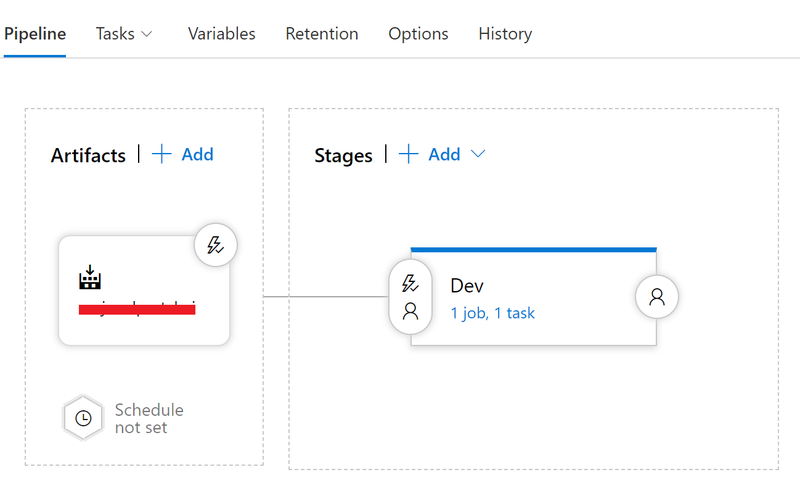 I use Azure DevOps in my projects, I find it really great for working in teams, for setting up build and release pipelines. I’m working on a project lately where I sat up Continuous Integration (CI) and Continuous Deployment (CD) pipelines for a React ASP.NET Core web application. It seems that there is a challenge here when it comes to official documentation for Azure DevOps, as it’s lacking information on how to properly set up CI/CD for such web applications. I was googling for hours and trying to figure out how to properly publish build artifact in the CI, so that the artifact is picked up, read by the CD pipeline and deployed as an Azure application service. I was unable to find an answer on the Internet (that worked) and my friend @oddbeard came to the rescue. He had done something similar in the past and it worked for him. So I tried it out, and it worked me! Note the package/folder path, how it’s pointing to a zip. And that’s pretty much it, the CD magically downloads the artifact, unpacks the dlls/client libs from the zipped file and starts the Azure application service!